Nelson Rolihlahla Mandela was born on 18 July 1918 in Umtata, in the Transkei territory of South Africa. His father was a chief of the Xhosa-speaking Tembu people. He received a bachelor's degree in 1943 at the South African Native College (now the University of Fort Hare) and the University of South Africa. He passed the bar in 1952 after studying law at the University of Witwatersrand. In 1952, in Johannesburg, he and political ally Oliver Tambo opened the first black law partnership in South Africa. Mandela joined the African National Congress (ANC) in 1944 and helped form the organization's Youth League and in 1956, the government arrested Mandela and others on a charge of treason, but he was found not guilty in 1961 and it was also in 1961 when he became the commander-in-chief of Umkhonto we Sizwe (Spear of the Nation), an organization committed to an armed struggle against apartheid. In 1964, he was convicted of sabotage and conspiracy and sentenced to life in prison and was released in 1990. 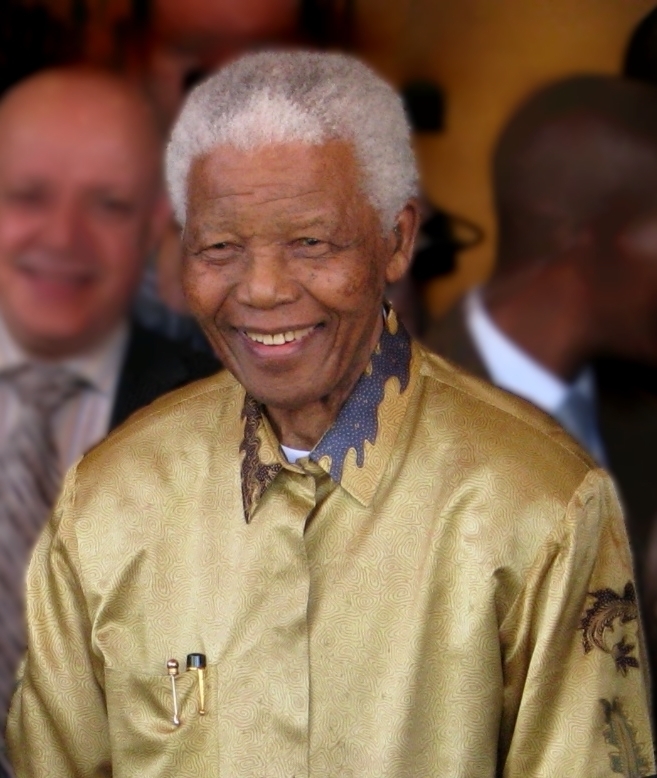 Mandela and then-President F. W. de Klerk of South Africa shared the 1993 Nobel Peace Prize, were honored for their work to end apartheid and to enable the country's nonwhites to fully participate in the South African government. In April 1994, in the first South African election in which all races could vote, the ANC won a majority of the Assembly seats, and Mandela became president, the first black president of South Africa, serving from 1994 to 1999. Mandela stepped down as head of the ANC in 1997 and in 1999, he retired as president of South Africa. Nelson and Winnie Mandela divorced in 1996 and in 1998, Mandela married Graca Machel, the widow of former President Somora Machel of Mozambique. He passed away on 5 December 2013 at the age of 95 due to prolonged respiratory infection at around 20:50 local time (UTC+2) at his home in Houghton, Johannesburg, surrounded by his family.